Haleemah Aqel is the Program Coordinator at IGR. She is a recent graduate from the University of Michigan-Ann Arbor, with a double BA in Communication Studies and International Studies with a minor in Arab and Muslim American Studies. She was a co-founder of UM’s Islamophobia Working Group, an Inclusive Campus Corps Fellow, and the program assistant for the Department of American Studies and Arab and Muslim American Studies Program. She will oversee the Student Experience Team (SET), focusing on community building and engagement. Charles retired from the Psychology faculty at U-M. A clinical psychologist, he served for 15 years as Co-Director of IGR. Since retirement, he has consulted with more than 40 universities across the nation regarding the creation of intergroup dialogue programs, based on the U-M model. He currently lives in Columbus, OH, and is an adjunct lecturer in psychology at OSU and a consultant at their Multicultural Center. Charles’ Ph.D. and M.A. are from Vanderbilt University. He also holds an M.A. Read more about Charles Behling, Ph.D.
Hamida is a Student Life Senior Program Manager supporting IGR’s Student Engagement Team. She holds an MA in Higher Education with a concentration in Diversity and Social Justice in Higher Education from the University of Michigan. Hamida's first encounter with IGR was the Psych 405 course (now ALA 421) as a newly minted Resident Advisor in 2004, and this dialogue experience informed the trajectory of her professional and academic careers. Hamida's undergraduate background is in sociology, political science, and classical archaeology. Mark is Professor Emeritus of Sociology at the University of Michigan and a founding faculty member of the Program on Intergroup Relations. Mark is an activist scholar conducting research, teaching, consulting and organizing on issues of social justice and personal/organizational change around race and gender equity, and of the psycho-social impact of childhood cancer. Read more about Mark Chesler, Ph.D.
Roger Fisher is a Co-Associate Director of IGR. In his role, Roger teaches training and practicum classes, directs IGR's partnership with the School of Social Work on the Summer Youth Dialogue Program, performs high-level administrative functions for IGR, trains K-12 professionals, consults with other Higher Education institutions on dialogue programs and works on special Student Life projects. He is an U-M alumus and has a B.S. in Psychology and also did graduate work in Psychology. Patricia Gurin is the Nancy Cantor Distinguished University Professor Emerita of Psychology and Women’s Studies at the University of Michigan. She is a Faculty Associate of the Research Center for Group Dynamics at the Institute for Social Research and of the Center for African and Afro-American Studies. She directs the research program of the Program on Intergroup Relations, a curricular program co-sponsored by the College of LS&A and Student Life. A social psychologist, Dr.
Read more about Patricia Gurin, Ph.D.
Stephanie is a Lecturer at The Program on Intergroup Relations and a faculty affiliate of the Institute for Research on Women and Gender at U-M. Her teaching and research foci include diversity, equity and inclusion policy in higher education, intergroup dialogue and social justice education. As a Lecturer, Stephanie teaches courses for the Program and coordinates the Race & Ethnicity Engagement efforts between IGR and the College of Literature, Science and the Arts. Read more about Stephanie Hicks, Ph.D.
Scott Hwang is the LSA Interim Faculty Co-Director of IGR. In his role, he assists with the overall program administration, serves on the IGR Leadership Team, the IGR Curriculum Committee, manages and leads the IGR recruitment team, as well as aides with the search process for the Faculty Co-Director position. He is currently an Ed.D. Candidate at the University of Pittsburgh in the discipline of Social and Comparative Analysis of Education, earned a Master's in Higher Education from Geneva College, and completed his undergraduate work at Gordon College. Caroline provides DEI (Diversity, Equity, & Inclusion) consultation and leadership coaching for faculty, staff, and administrators across campus, with a focus on social justice education. Read more about Caroline Kim, Ph.D.
Alex Kime is a LEO Lecturer with The Program on Intergroup Relations in addition to being a writer, teaching artist, and transdisciplinary facilitator from Ann Arbor, Michigan. They received their Master of Social Work degree from the University of Michigan with a concentration in Social Policy and Evaluation as a National Community Scholar and previously received Highest Honors in Creative Writing & Literature as an undergraduate. Alice is a lecturer with the Community Action and Social Change (CASC) undergraduate minor at the School of Social Work, The Program on Intergroup Relations, American Culture, and the Center for Global and Intercultural Studies (CGIS). Alice has worked in non-profits committed to social justice and international human rights in New York, Washington D.C., and Tel Aviv. She currently serves as a lead organizer with the Center for Jewish Nonviolence. Henry Mochida is the Communications Specialist of Intergroup Relations, Spectrum Center, and Multi-Ethnic Student Affairs. He guides the development and implementation of strategic communications processes for the three units and beyond. Henry completed his master’s degree and was a Ph.D. student in Urban Planning at the University of Hawaiʻi with a focus on media advocacy and participatory action research methodologies. Shana is the Assistant Director of IGR. She oversees all co-curricular programming, including CommonGround, the Student Engagement Team, and the National Intergroup Dialogue Institute, along with teaching and consulting. Shana is passionate about supporting students to explore social justice issues, deepen their understanding of social identities, develop skills in communicating across difference and while in conflict, and move from awareness to action. Read more about Shana Schoem, J.D. Lori Sherman is the Administrative Assistant Sr. at IGR. She works closely with leadership and staff, provides executive-level support, coordinates office operations, organizes events, workshops, and conferences, and oversees the daily operations of the Program. She also provides assistance with budgeting, finances, and personnel and is responsible for the development and implementation of department policies and procedures in compliance with University, Student Life, and LSA policies. Lori is the liaison for technical support and facility concerns. Monita serves as Assistant Dean of Students and Student Life Co-Director of IGR. Within IGR she fosters the training, development, and support of undergraduate student peer educators in skills and techniques of intergroup dialogue facilitation and on becoming a social change agents through teaching and research. She consults with higher education institutions interested in developing intergroup education on their campus. She is an alumna of Tennessee State University where she received a B.S. in Criminal Justice. Anti’Shay is the Student Administrative Assistant at IGR. She works closely with faculty and students in her role as she supports enrollment for IGR dialogue courses and coordinates the training course application process. She also coordinates the National Intergroup Dialogue Institute that IGR hosts each year. She is an alumna of the University of Michigan, where she received a B.A in English and Anthropology. Cesar Vargas-Leon is a Program Manager supporting IGR’s CommonGround.  He works with a team of graduate and undergraduate students to execute requested programs that raise awareness about social identities, prejudice, stereotyping, power, privilege, and oppression for students who are part of the University of Michigan’s community. Cesar is passionate about transforming spaces, structures, and systems through the art of storytelling. He holds a B.A. in Sociology and Latinx Studies from the University of Michigan. The process of attaining an M.A.